more accessible to all students? Soon the Good Witch will be hopping on her broom, flying around the country distributing devices with new features to a dealer near you! Could it be that the strange lump in her cape is a keyboard? ABiSee team members recently enjoyed some local outtings in our home state of Massachusetts. On September 8, we visited the Leominster Low Vision Support Group at the Council on Aging in Leominster as their guest speaker. Members received a product demonstration and got to try out ABiSee's Eye-Pal Solo LV and Eye-Pal Ace Plus devices. The participants were given information about local grant funding for assistive technology that is available for residents of Worcester County, Massachusetts through the Memorial Foundation for the Blind. For information on the Memorial Foundation, call (508) 753-8097 or email raymondlma@charter.net. On September 19, ABiSee was invited to participate in the Weston Council on Aging's first Virtual Technology Fair. This well-organized event included a Power Point presentation by Dr. Lee McCanne, Weston Director of Technology for the Town of Weston. His overview covered a range of devices for seniors that ranged from robots that mop floors to ABiSee's Eye-Pal Ace Plus. A hands-on demonstration for attendees followed, with several participants remarking that they had no idea the scanning/reading and email functions of the Plus were available. The Weston Council on Aging truly did a fantastic job in coordinating such a comprehensive technology event which helped local seniors and caregivers learn about products that can make their lives easier. On September 22, ABiSee stepped off the mainland to visit our friends for product demonstrations at Camera Mundi, Inc in Puerto Rico, along with a visit and demonstartion to state agencies and a VAMC there. ABiSee’s customer base spans the gamut from those who are new to vision loss to adults who were born blind. Each month, ABiSee’s newsletter will spotlight resources and information pertinent our customers’ needs. October’s spotlight focuses on financial assistance for assitive technology. The Association of Blind Citiizens (ABC)'s Assistive Technology Fund (ATF) provides funds for eligible candidates that pay for half the retail cost of adaptive devices or software. Through the ATF, the ABC works to provide poeple who are blind and visually impaired the opportunity access to technology products that can greatly on improve job opportunities, increase independence and enrich the overall quality of their life. For eligibility requirements and the details on the application process, send an email to atf@blindcitizens.org. Those of you who read ABiSee's September Newsletter may recall the letters that were included that had been sent to ABiSee at age 89 from Gwen Perkins, a customer with Glaucoma. Gwen had written to describe how ABiSee's Zoom-Ex device was making her life better, allowing her to return to her love of reading. "I just got your email today. I am a teacher for VI in Fairbanks AK. In looking it over I see your comment from Gwen Perkins. Gwen was a wonderful women and personal friend who has passed away. I traveled to Alaska with her and her husband over 21 years ago and I never left. It was a treat and what I consider a "personal message" from her to see the comments. I had talked with her numerous times regarding what might work for her. The equipment allowed all of us who loved her to continue enjoying her ability to make us all feel special. Questions on our products or need tech support? Enjoy the rest of your fall season. This presentation focuses on apps for students who need supports in the area of Social Skills, Executive Function and Behavioral Management. Social Workers and School Psychologists attended this training session to learn about and explore iPad and Android apps to use in their practice . There is a great deal of literature about executive functioning and executive function disorder; and many definitions of what is considered an executive function skill. The Universal Design for Learning (UDL) guidelines state that executive function skills are associated with the prefrontal cortext in the brain and allow humans to overcome “impulsive, short-term reactions to their environment and instead set long-term goals, plan effective strategies for reaching those goals, monitor their progress, and modify strategies as needed” (citation version 1.0). In their book, “Executive Skills in Children and Adolescents,” Peg Dawson, EdD and Richard Guare, PhD state “These [executive function] skills help us create a picture or goal, a path to that goal, and the resources we need along the way”(p 2). 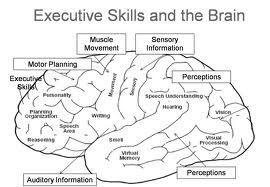 They also identify 10 types of executive function skills that work together; namely: Sustaining attention, shifting attention, inhibiting impulses, initiating activity, planning and organization, organization of materials, time management, working memory and emotional control. ABiSee is a leading developer and manufacturer of assistive reading and magnifying devices for the blind and people with visual, cognitive and learning disabilities. ABiSee Inc. was founded in 2005 in the basement of my Sudbury, MA house. Initially, the company developed optical technology to help people with physical impairment navigate a computer. The first product called “MouseVision” led to the creation of “Zoom‐Ex” ‐ the first camera‐based electronic text‐to‐speech reader and magnifier for the visually impaired. Zoom‐Ex provided quick access to printed material and replaced slow flat‐bed scanners for many visually impaired people. The company sold 117 devices back in 2006. Today, ABiSee is a multi‐million dollar company that sells its advanced, yet easy to use devices all over the world. At the October 25, 2013 UDL Sharatorium, iPad Apps for Notetaking was presented, featuring information on Co:Writer, Evernote and Notability. Co:writer is a word processor that offers text-to-speech, word predction and unique topic dictionaries to assist writers in pre-writing and notetaking. Evernote is a organizational app that can be used to sync notes to all devices, arrange notebooks by class/theme and create work checklists.Noteability can record lectures, and pull worksheets into the app for annotation (typed, handwritten or highlighted) and can take screenshots. All three of these apps faciitate the principles of Universal Design for Learning in that they offer a variety of ways to represent the material, engage the student in the notetaking activity, provide multiple means of action and expression to complete the task of notetaking, authoring and creating. Universal Design for Learning Technologies can be used to identify effective, instructional pedagogies that support highly effective learning environments. Listed below are some examples of assistive technologies available at WHPS to support students with disabilities in order for them to participate and progress in universal, differentiated core curriculum based on the Common Core State Standards. This ranges in high tech computer and ipad/itouch software and applications, to mid and low-tech Augmentative and Adaptive Communication Devices (AAC) and picture exchange communication systems (PECS). It also includes hardware, accessories and online resources (hard and soft technologies). Communication and Social Language- ABA Flashcards, Proloquo2Go, GoTalk, PECS Stage 3, MyTalk Tools, TouchChat, Assitive Chat, The Social Express, Conversation Builder, Sign4Me. Handwriting skills- Letter Tracing, Letter Reflex, iWriteWords, Handwriting Without Tears. Writing- Pictello, Storybuilder, I Can Write a Paragraph, Dragon Dictate, ICanWrite2. Math Skills (computation, counting, matching, patterns, money, fractions, time)- MathDrills, MathMagic, Counting with the Very Hungry Caterpillar, Five Little Monkeys, Learn Shapes, Amazing Coin, Cute Math, Flash Math, 123 Counting Animals, Freddy Fraction, Interactive Telling Time, Number Sequencing Quiz, Match-It-Up 1-3, Math Age 3-5. Dell Laptops- For students who have difficulty in handwriting, written expression, brainstorming and organizing their thoughts. Also helps in spelling, researching their topics and in increasing their vocabulary. SOLO6 by Don Johnston- Includes 4 components: Read Outloud-Text Reader, Write Outloud- Word Prediction, Co-writer-Talking- Word Processor, Draftbuilder-Graphic Organizer. Inspiration9 by Inspiration- For visual mapping, outlining, writing and making presentations, use Inspiration® 9, the ultimate thinking and learning tool. Brainstorm ideas, structure your thoughts and visually communicate concepts to strengthen understanding with the Diagram and Map Views. To take notes, organize information, and structure writing for plans, papers and reports, use the integrated Outline View to focus on main and supporting ideas and to clarify thinking in written form. With Inspiration's Presentation Manager, transform your diagrams, mind maps and outlines into polished presentations that communicate ideas clearly and demonstrate understanding and knowledge. Dragon Naturally Speaking by Nuance- Speaker-Dependent Speech to Text Software. Uses voice to create and edit documents or emails, launch applications, open files, control your mouse, and more. Read and Write Gold-by TextHelp- All- encompassing literacy software solution that Improves reading fluency and comprehension, helps with research, writing, and test taking, integrates with mainstream windows applications, includes powerful teacher support tools. 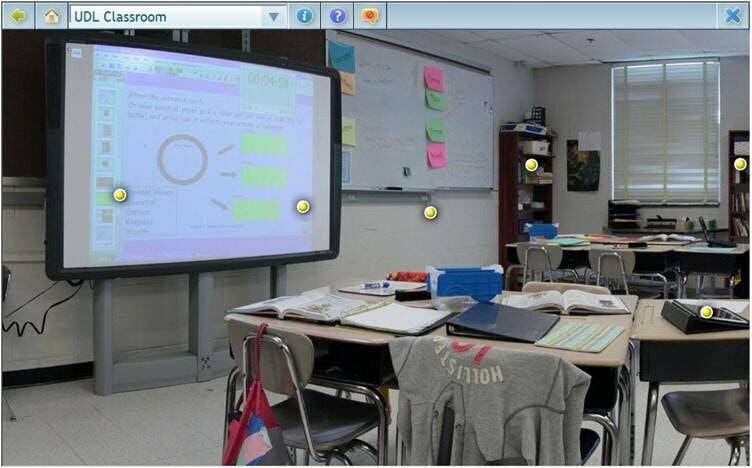 Clicker 6 by Crick Software- Clicker is a proven and essential classroom tool to support students with and without special needs. In addition to the extensive support for learners with reading and writing difficulties, Clicker offers unique benefits for students with a wide range of special needs. Teachers can create activities from templates for their students in all subject areas. MathType-is a powerful interactive equation editor for Windows and Macintosh that lets you create mathematical notation for word processing, web pages, desktop publishing, presentations, e-learning, and for TeX, LaTeX, and MathML documents. Use MathType to complete assignments faster and turn in work that is neat and legible. Increase the font size for visual assistance while completing assignments, and save the work in a smaller font to turn in for teachers. Faceland by Don Johnston- For some children with Autism, Asperger's, or other developmental deficiencies, this is often not the case. Since skill in recognizing facial expression of emotions is important to functioning in a social environment, there is value in helping children develop this skill. But, what if it doesn't develop normally?FACELAND uses an Amusement Park theme to engage and motivate. 6 “Schools” introduce concepts as “clues” and 11 game-like activities offer practice that is fun! Lexia Reading® is an award-winning, technology-based program that provides practice, assessment, and instruction to improve all students’ reading abilities. Now available online as a resource both in the classroom and at home for students to practice skills and teachers can assess their progress. Lexia Reading provides explicit, systematic, personalized learning in the five areas of reading instruction, and delivers norm-referenced performance data and analysis without interrupting the flow of instruction to administer a test. Aligned to the Common Core State Standards, this scalable, research-proven, technology-based system accelerates reading skills development, predicts students’ year-end performance and provides teachers data-driven action plans to help differentiate instruction. Reading A-Z, Learning A-Z, Vocabulary A-Z and Raz Kids- Because it is delivered over the Internet, Reading A-Z. Learning A-Z and Raz Kids are constantly changing programs. Each month, Reading A-Z adds new books, lesson plans, and other resources, thus continually expanding its wealth of materials. The website has more than 2,500 downloadable books (including English, Spanish, and French versions) and thousands of teaching and learning materials. In addition to the K-6 market, Reading A-Z materials have found widespread use at a range of grade levels in special education and special needs, remedial reading, ESL, and ELL. If you have a subscription to Reading A-Z and Raz-Kids, all your students will have access to an "On Your Own" area that provides them with hundreds of additional books in the Listen and Read modes for modeled fluency and reading practice. Open-book quizzes check understanding. The detailed quiz report that accompanies this feature enables you to easily monitor student progress and helps you determine the instruction needed for each student. BookShare- Bookshare® is an online library of digital books for people with print disabilities. It operates under an exception to U.S. copyright law which allows copyrighted digital books to be made available to people with qualifying disabilities. In addition, many publishers and authors have volunteered to provide Bookshare with access to their works. By requiring individuals to register as Members and provide a Proof of Disability, Bookshare ensures that only qualified individuals use the service. Bookshare Members download books, textbooks and newspapers in a compressed, encrypted file. They then read the material using adaptive technology, typically software that reads the book aloud (text-to-speech) and/or displays the text of the book on a computer screen, or Braille access devices, such as refreshable Braille displays. Through an award from the U.S. Department of Education Office of Special Education Programs (OSEP), Bookshare offers free memberships to U.S. schools and qualifying U.S. students. AlphaSmart/DANA- The AlphaSmart is a keyboarding device that enables a person to work on the go, much like a laptop computer, but it is strictly for word processing, as it functions essentially like a simple digital typewriter. Dynavox- DynaVox devices assist individuals who are unable to communicate reliably with their own voices due to cognitive, language and physical impairments. The devices produced by DynaVox closely resemble touch screen tablet computers. DynaVox uses a Microsoft Windows-based configuration as a platform to run proprietary communication software. These are called Direct Selection Dynamic Display Devices. A dynamic display depicts language in an electronic format. As a result, the information displayed is ‘changeable’ by the user. That is, when the user directly selects a location on the display, the device either speaks a message immediately or changes what appears on the screen. PECS by Pyramid- Picture Exchange Communication Systems- Persons who are non-verbal may use picture cards to express their wants and needs. Each card has an image that depicts a word. For example, a child might hold up a picture of a sandwich to indicate that he is hungry. He might hold up a picture of a bed to indicate that he is sleepy. Picture cards are a simplistic type of AAC device that children with a limited vocabulary can understand and easily use. Environmental Control Switches- Environmental Control Units, or ECUs as they’re commonly called, enable persons with physical disabilities to participate in a broad range of everyday activities at home, at work, in classrooms, in health care centers, and in hospitals through a variety of user-friendly interfaces, including the touch of a button or the sound of the user’s voice. Single or Multiple switches through a Powerlink, (a control interface which activates electric appliances) or adaptive remotes, voice or sound activated electrical appliances. Touchscreen Monitors- A touchscreen is an electronic visual display that the user can control through simple or multi-touch gestures by touching the screen with one or more fingers. Some touchscreens can also detect objects such as a stylus or ordinary or specially coated gloves. The user can use the touchscreen to react to what is displayed and to control how it is displayed (for example by zooming the text size). The touchscreen enables the user to interact directly with what is displayed, rather than using a mouse, touchpad, or any other intermediate device (other than a stylus, which is optional for most modern touchscreens). ZoomText by Aisquared- ZoomText Magnifier Software enlarges and enhances everything on your computer screen, making all of your applications easy to see and use. Our revolutionary new ‘xFont’ technology displays crystal clear text at all magnification levels. Assistive Listening Systems, also known as Assistive Listening Devices (ALD)- transmit sound directly to an individual who is wearing a sound receiver (hearing aid, headphone, neck loop etc.) ALDs reduce problems associated with background noise in one-on-one and group communication. By sending the sound signal directly to the individual's ears, an ALD enables the individual to hear and understand important sounds while also reducing frustration associated with hearing unwanted background noises. Trackball Mouse- (Inverted Mouse with the ball on the top.) A trackball is a pointing device consisting of a ball held by a socket containing sensors to detect a rotation of the ball about two axes—like an upside-down mouse with an exposed protruding ball. The user rolls the ball with the thumb, fingers, or the palm of the hand to move a pointer. Switch Adaptive Mouse- Switch Adapted optical mouse by Ablenet is a standard mouse with a standard 1/8" plugs for one switch. Its right mouse clicks have been adapted. BigKeys Keyboard- The BigKeys LX keyboard is for anyone who needs large keys in order to locate and operate the keys. 1-inch-square keys on a standard sized keyboard. Key order can be configured as standard QWERTY or ABC order. Full featured keyboard, with all punctuation, functions keys, etc. Native usb keyboard - no adapter required. Colored Key Stickers- Adhesive letters and key functions for keyboards. Color coded for help in using the correct fingers for typing. Durable, high quality large print computer keyboard stickers improve keyboard contrast for those with low vision. May be used on either a PC or MAC keyboard. From the earliest days of research on learning disabilities, a multisensory strategy has been viewed as perhaps the best instructional intervention to use with students who have trouble reading and writing (see, for example, Slingerland, 1996). As students learn their letters and sounds, have them form letters in clay or with pipe cleaners, draw them on pavement with chalk, trace them in sandpaper, or manipulate them using colored blocks or tiles. Capitalizing on their strong visual-spatial skills, suggest that students write captions for photographs or draw storyboards to show their understanding of the sequence of a story. To enhance reading comprehension, tell students to close their eyes and visualize what they have just read. Some students have even found that the use of colored overlays or special lenses improve their perception of words (Williams, Kitchener, Press, Scheiman, & Steele, 2004). Reading materials should be chosen with a student's interests in mind. A student who enjoys mathematics, for example, might like to read Counting on Frank by Rod Clement, while a student who is fascinated with insects might enjoy Matthew Reinhart's Young Naturalist's Handbook: Insect-lo-pedia. To personalize learning, show students how to take their dictated material from speech-to-text software and transform it into a book that could then be catalogued in the school library. If students exhibit music as a special strength, have them use percussion instruments to tap out the syllables of words or use singing or chanting to turn phonemes into musical sounds. This is especially helpful in addressing the phonological difficulties that many individuals with learning disabilities face (Overy, 2003). Use video to teach specific content. Provide students with a camera or camcorder to record their experiences. Draw pictures or use graphic organizers to illustrate concepts or content (see the Education Oasis website for a selection of 58 possible graphic organizers). Use reading material that includes rich visual representations—photos, flowcharts, decision trees, diagrams, and so on. Teach creative thinking techniques to your students (see Michalko, 2006). Teach mind-mapping strategies for taking notes (see Buzan, 1996) or use mind-mapping software (e.g., Kidspiration). Provide software or apps that make use of visual-spatial skills, such as animation or graphic arts programs. Allow students to doodle while they're listening to lectures (see Andrade, 2010). Use Google's "image search" feature to find pictures that illustrate vocabulary words and concepts. Let students color-code texts using highlighter pens. Have students create imaginative pictures of their vocabulary words (see Mallet, 2011). Provide students with "the big picture" before going into details when teaching a subject. Integrate the arts into academic subjects. Use Legos, D-stix, hexaflexagons, blocks, pipe cleaners, or other three-dimensional materials to illustrate language arts concepts. Andrade, J. (2010). What does doodling do? Applied Cognitive Psychology, 24(1), 100–106. Buzan, T. (1996). The mind map book: How to use radiant thinking to maximize your brain's untapped potential. New York, NY: Plume. Michalko, M. (2006). Thinkertoys: A handbook of creative thinking techniques (2nd ed.). Berkeley, CA: Ten Speed Press. Overy, K. (2003, November). Dyslexia and music. Annals of the New York Academy of Sciences, 999, 497–505. Slingerland, B. H. (1996). A multi-sensory approach to language arts for specific language disability children (Rev. ed.). Cambridge, MA: Educators Publishing Service. Williams, G. J., Kitchener, G., Press, L. J., Scheiman, M. M., & Steele, G. T. (2004, November). The use of tinted lenses and colored overlays for the treatment of dyslexia and other related reading and learning disorders. Optometry: Journal of the American Optometric Association, 75(11), 720–722. Excerpted from Neurodiversity in the Classroom: Strengths-Based Strategies to Help Students with Special Needs Succeed in School and Life (pp. 33–35), by T. Armstrong, 2012, Alexandria, VA: ASCD. Reprinted with permission.